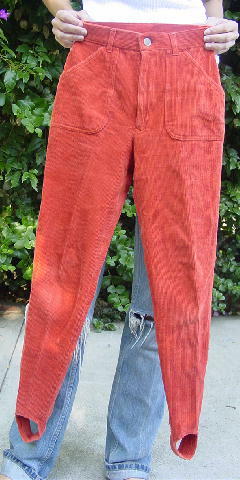 These light burnt orange stretchable cord pants have foot straps at the leg ends. There are belt loops, front diagonal pockets, and a 5 1/2" zipper fly. The "spots" on the right leg are glare from the sun. 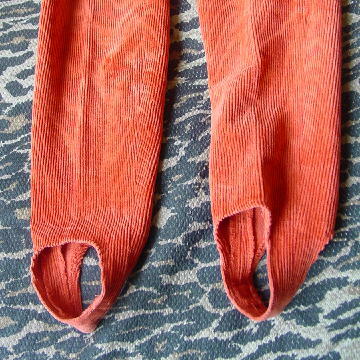 waist to bottom of foot strap 36 1/2"